Take your beer with you when you go to the beach, camping, a game, or to a party. Our Paintball Tank Mini Regulator fits any standard C02 paintball tank (sold and refilled at sporting goods stores) without the need for adapters. 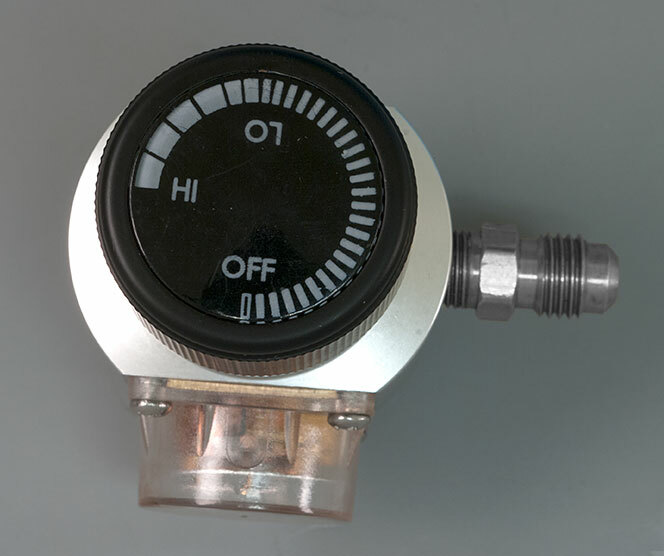 The system is built around a 0-30 psi C02 regulator that features precise adjustment via the calibrated top adjustment knob. 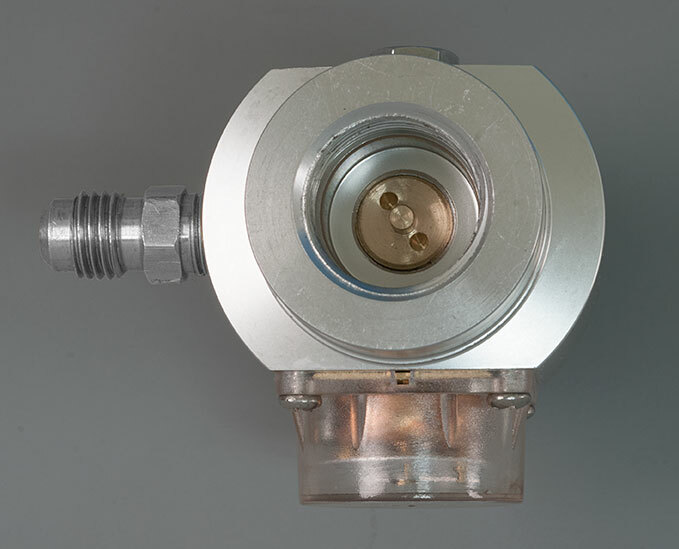 It features a stainless steel check valve on the outlet ¼" threaded flare fitting, to prevent beer from backing out of the keg and into the regulator. 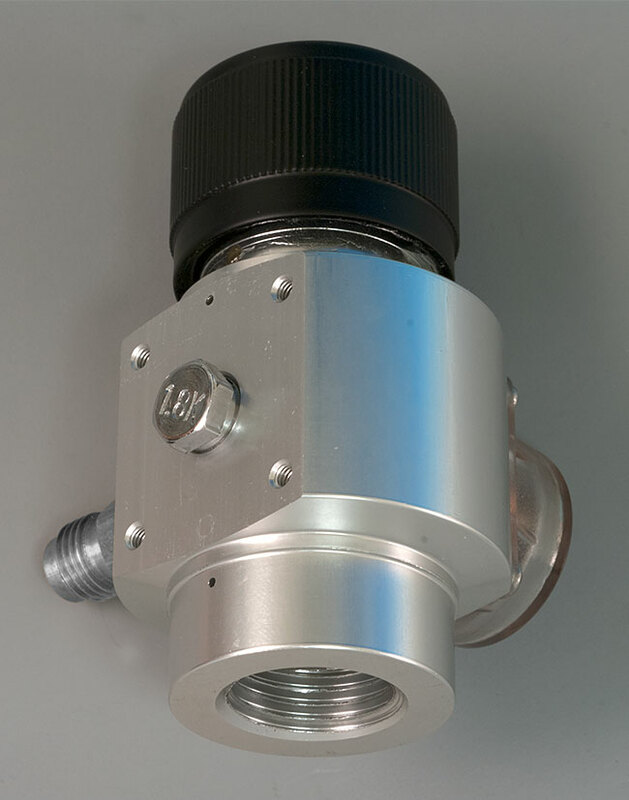 The flared outlet on the side can be attached to any threaded female ¼" flare fittings, such as our D03 Gas Connector. Change it into a ¼" hose barb if desired by ordering our D66 Barbed Adapter. The regulator is 3 1/8" tall when not attached to a Paintball tank. The regulator does not include a needed C02 paintball tank. These can be purchased at many large box retailers and sporting goods stores, and can also be filled and refilled at these stores inexpensively. They generally come in sizes ranging from 12 ounce to 24 ounce, with 20 ounces being the most popular. from Manchester, MA Works Great! Great little regulator. I use mine with a paintball belt, quick connect hose and blow-gun for a wearable setup that I use to top off my tanks and carboys with CO2. Can also use as a temporary backup tank on keg systems if my 10 pounder runs out. Pressure can sometimes make it a little hard to unscrew when you are done but after loosening a quarter turn, opening the regulator knob when unscrewing the rest of the way releases the gas / pressure holding it tight. Since it's made of aluminum construction you have to be extra careful not to strip the threads. 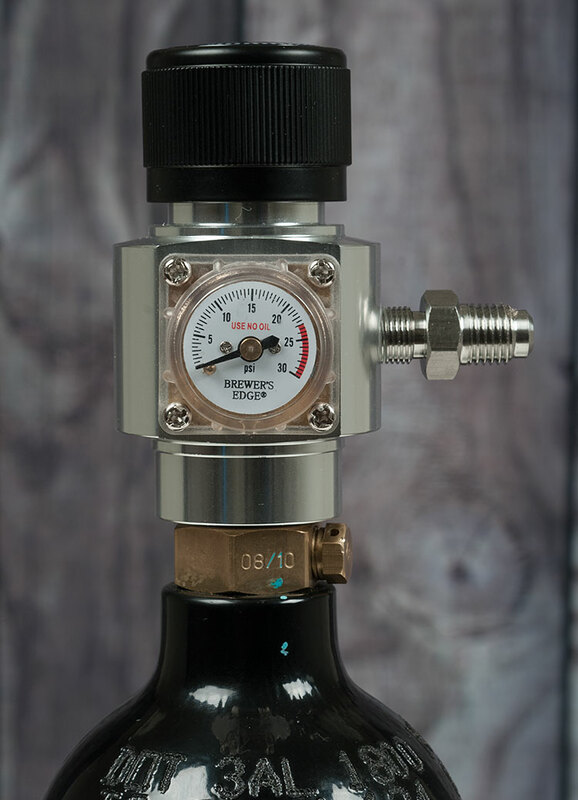 The regulator is perfect for making a portable beer dispensor. I used it with a 24oz paintball tank. Works great. Please note this threaded flared fitting was installed, but not fully sealed when delivered. I lost my first tank of gas in a few hours due to this slow leak. Check yours before use. from Rockford, IL Great addition to my mini-keg! I have been brewing small batches for a couple of years and wanted the ease of forced carbonation. As I purchased a PicoBrew Pico, it came with a 5-liter "serving keg" that I could charge with a small CO2 cartridge. This was great for the kits I bought for the Pico, but I wanted to expand my "kegging" to my other brews. I wanted a reusable CO2 system and turned to paintball as it was easy to refill. This mini regulator fit into my plan perfectly -- I have used it to transfer beer, force carbonate, and serve in my "mini-kegs" and couldn't be happier! Together with my stackable  William's 1.75 gal kegs this is my best brewing investment ever. I have 3 1.75 kegs and this regulator mounted on a 20 oz paintball tank in my small SF apartment fridge (via 3 way manifold). Cheap gas, compact size, what's not to love? Well it could be more precise. My first one was super finicky to dial in. William's sent a replacement for free, no need to return old one (how super is that?). Replacement is much better, it typically takes a few adjustments (set, dispense, set, done, then holds psi +-3). Accuracy is enough for me, but not for 5 stars. Turned out my first regulator just had a badly fitted burst disk. Tightened and it's about as precise as the replacement. I now use it with 4 oz refillable paintball tanks for parties and picnics where ultra portability is king. This plus 1.75 keg plus 4 oz paintball plus suitable cooler makes people smile. My beer fridge is TINY and I don't have a lot of space. I also only do about 2-2.5gallons at a time, so I use the 1.75g keg from here (also great!) and bottle leftovers. I needed something that took up VERY little space, and this fits the bill. Other paintball regulators just looked to be too big. I think as I expand, I'll probably buy another one of these. Did I mention the price is right, too? This regulator does not have a washer to seal the paint ball tank. It relies on the O ring on the lip of the paint ball tank valve which seals when it is screwed down. This regulator does have a burst disk, which is a emergency pressure relief valve under the 1.8K marked nut on the back center. I have been using my paintball tank mini regulator to push beer from 3 gal. Kegs by placing this setup inside the cooler the kegs are in. I experience pressure drops and suspect the regulator freezes up. Do you think this is what is happening? This depends on how many kegs, and how much gas is flowing. If you have multiple kegs, and you are pouring a beer every 5 minutes or so, the regulator will ice up. You could try mounting the regulator outside the refrigerator, and seeing if the problem goes away. Will this regulator leak co2 slowly to regulate pressure? I plan to leave this hooked up for days at a time and do not want it leaking co2 when in idle. No, if your keg has no leaks, and you set it for a steady dispensing pressure, it will not release C02. 2 PSI is under the range that this regulator is comfortable with. So no, for 2 PSI transfers, this is not ideal.